Some places just truly take your breath away. Stop you dead in your tracks, mouth gaping, in awe – usually of nature’s pure majesty. 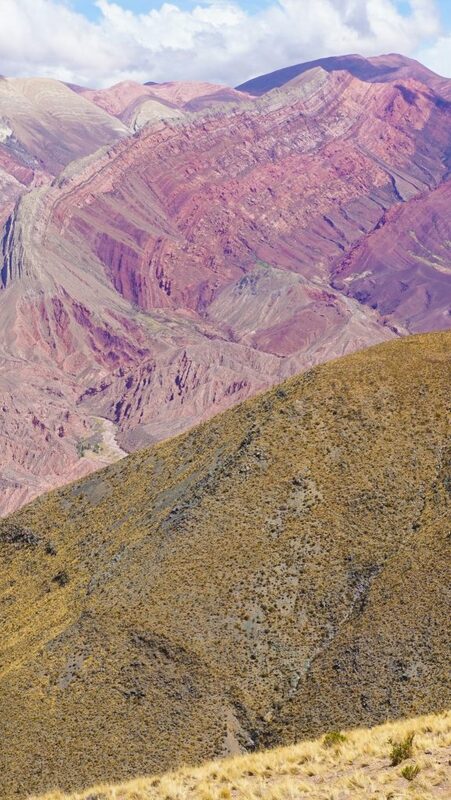 The Fourteen Coloured Mountain, known locally as ‘Hornacal’, in Northern Argentina is just one of those places. 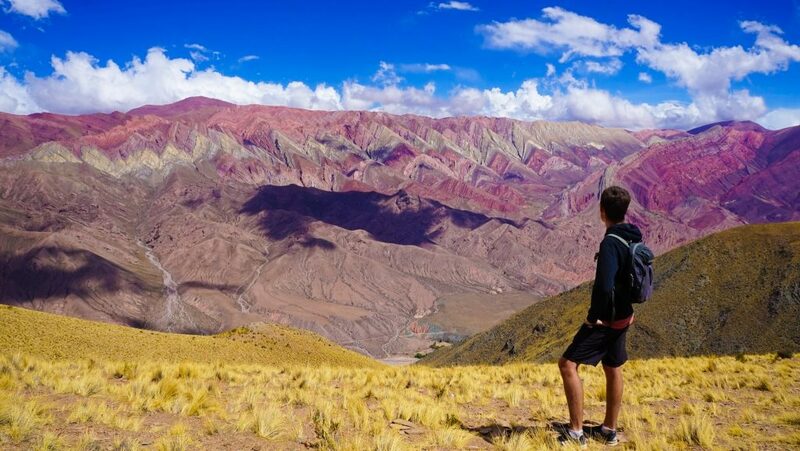 Located near the famous Quebrada de Humahuaca, a UNESCO World Heritage site, the 14 Colour Mountain or the Rainbow mountain is one of the area’s most beautiful and yet – surprisingly – un-touristy sites. On our visit, we were the only ones basking in its glory for at least an hour! The 14 Colour Mountain is the result of fascinating geological processes but is effectively a simple outcropping of rocks from different time periods. 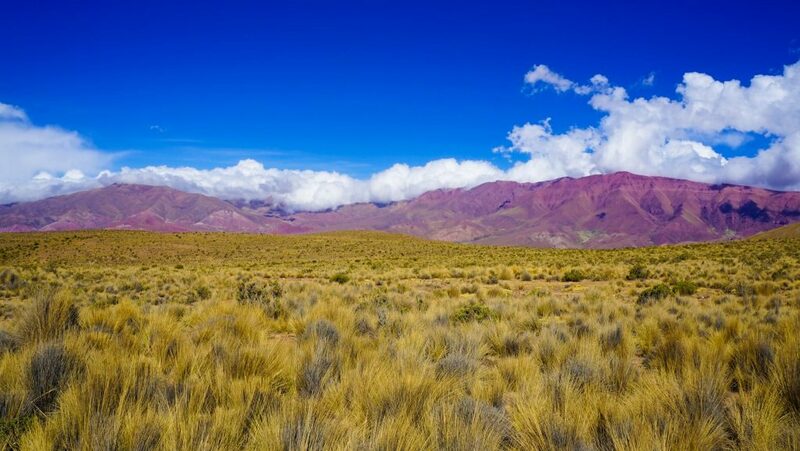 The sheer variety of colors on display here result due to the accumulation of different sediments from when this region was underwater 600 million years ago – hard to believe now that its stuck on top of the Andes. 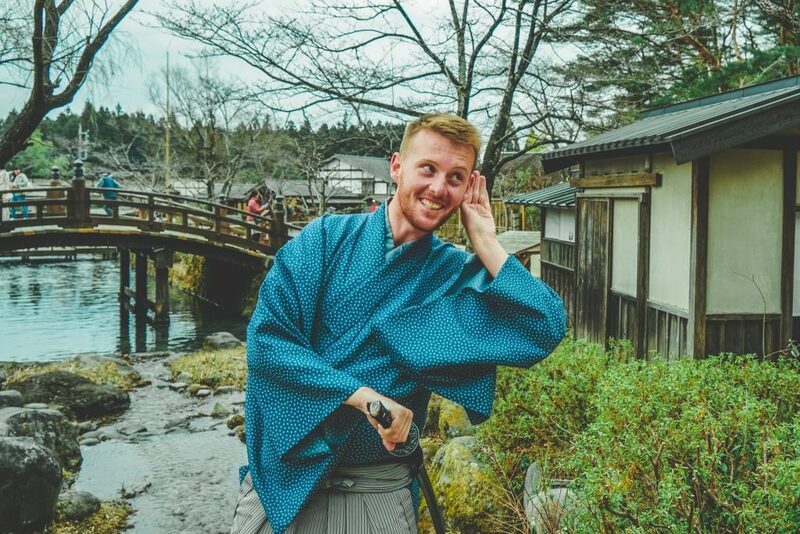 In fact, it’s so high (height 4,100 meters above sea-level) that you are likely to experience altitude sickness here so take your time and relax, there is no rush. Just bask in the view that you are unlikely to forget in this lifetime. Easily one of the most surreal things I’ve ever seen – its feels a bit like you are wearing some heavily tinted rainbow glasses, or gone a little bit overboard on the Instagram filters in real life. The bright blue sky and yellow grasses of the hills surrounding you work to exaggerate the rainbow color mountain even further. At times I still can’t believe it was real and not an outrageous man-made structure part of Disneyland or a new advertising campaign for vivid paints. Luck, however, would have it that something so indescribably beautiful is only found in this isolated corner of the world, so this gem is surely safe from mass tourism and development at the moment. 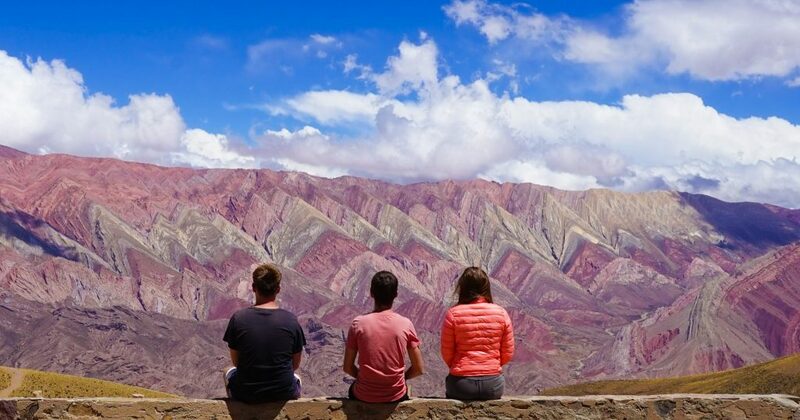 While you are in the area you can stop at the more easily reachable Seven Colours Mountain located in Purmamarca – an easy stop off on the bus from Salta to San Pedro de Atacama in Chile. But, this place is very touristy and rather underwhelming. 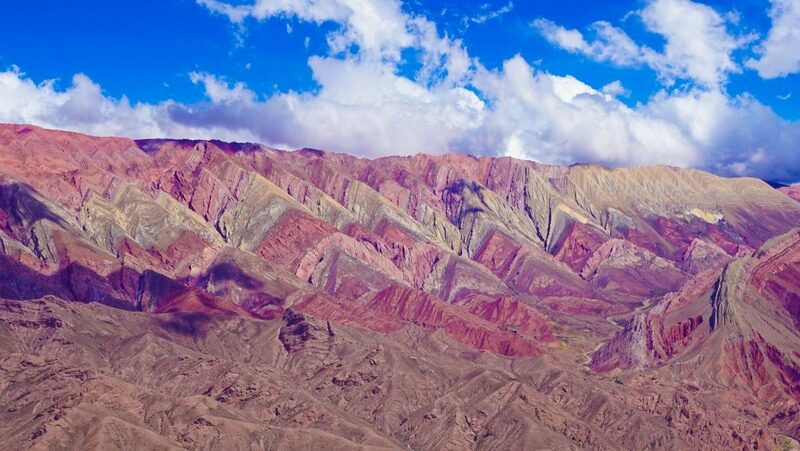 The photos of Seven Colors Mountain look a lot better than in real life *see photo below*, whereas I can guarantee my photos of the 14-colored mountain in Argentina are still not doing it justice. I suggest still visiting both however for comparison. 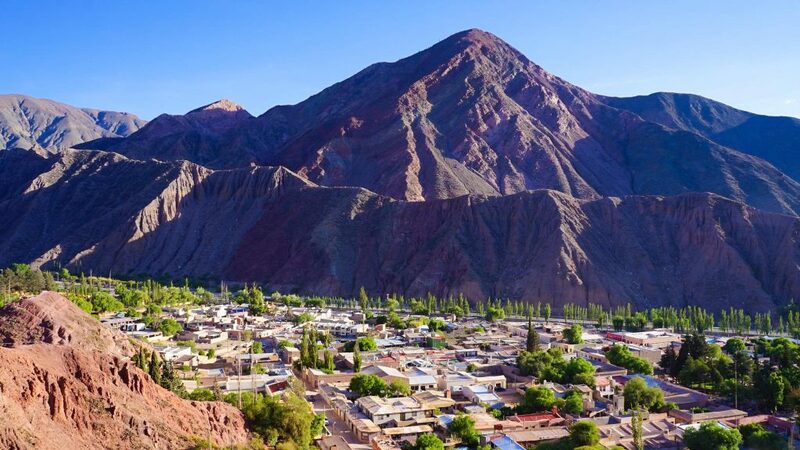 Quebrada de Humahuaca, the UNESCO listed narrow mountain valley, also has many interesting sites so is worth a few days of your time here. This valley itself has been an economic and cultural crossroads for a millennium. Most famously it was the important caravan route for the Inca Empire (who have ruins here to be discovered) but was also an important link between the Peruvian and Argentinean colonies as well as being at the forefront of the Spanish War of Independence. Whatever you choose to do here, however, the impossible Fourteen Coloured Mountain will inevitably be a highlight, especially as so few people have discovered it! It’s just not fair to the other sites really…. 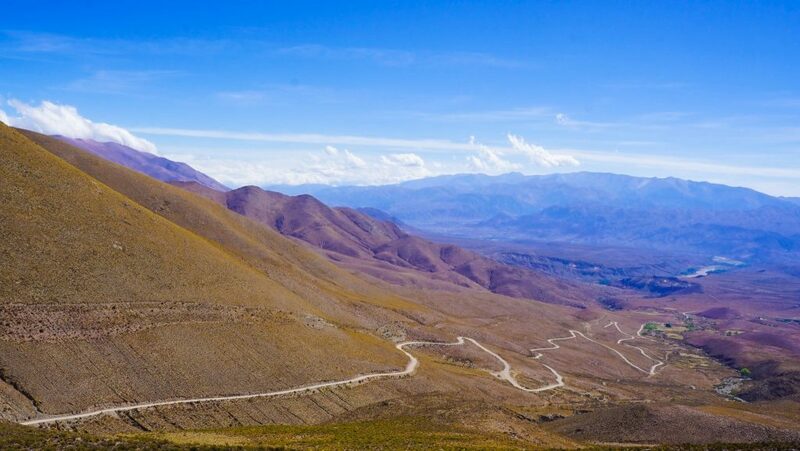 Getting to Fourteen Coloured Mountain a.k.a Hornacal in Northern Argentina: While it appears pretty complicated to get to such an undiscovered destination, it is actually relatively easy on a road trip from Salta – and not impossible with public transport either! With a car, you simply work Quebrada de Humahuaca into your road-trip. 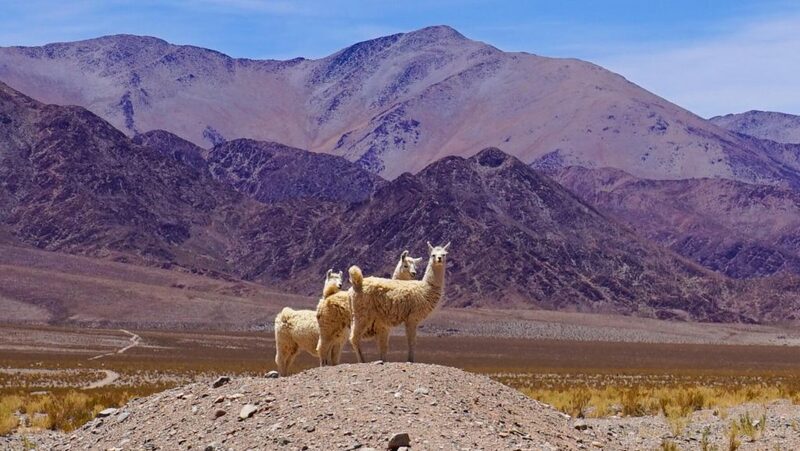 Head to the northernmost town in the valley (Humahuaca) and then turn off – the 14 Colour Mountain GPS coordinates are -23.183024, -65.195369 or 23°10’58.9″S 65°11’43.3″. There is only one road in this direction, just follow it until you arrive at the intersection near the 14 Colour Mountain GPS then turn right. A few minutes more and you will arrive at a toll booth (about $1USD, takes all up around 45 minutes from Humahuaca) and then you will have arrived. It is a dirt road but is fine in a normal car (search car rentals in Salta). Without a car head to the same town (Humahuaca) with the public buses that head up and down the valley. From here hire a jeep to take you to the 14 Colour Mountain – you may have to wait some time for the 4 people needed to fill it so start early. 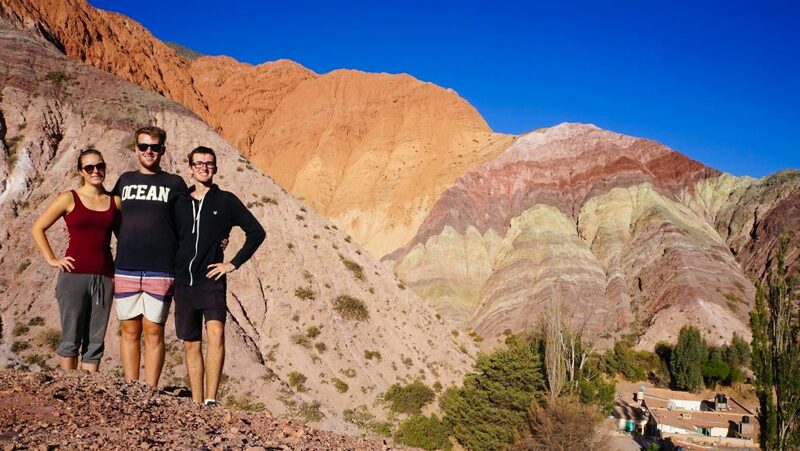 Alternatively, there are tours leaving from multiple companies in the Quebrada de Humahuaca to the 14 Colour Mountain a.k.a Hornacal, so just ask around! The 14 colored mountains are probably one of the most beautiful places I have ever been. Not just in Argentina but in the entire world. 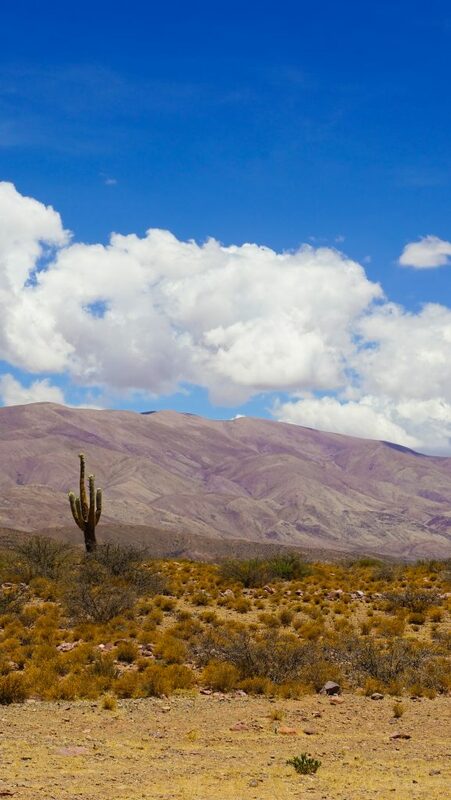 Don’t be put off by their remoteness, this just adds to their mystical appeal and having the spot to yourself is just incredible – which is why I really recommend hiring a car from Salta to enjoy this and the rest of the valley! Travel Blogger’s Favourite UNESCO Sites in South America! Best Places to Eat in Sucre, Bolivia: Buen provecho!